The popularity of Off Highway Vehicles (OHV) skyrockets despite the fluctuation of fuel prices. The Utah State Parks and Recreation require OHV registration. If your machine is street legal and licensed as such, running with insurance and passing safety inspection, do no more. Otherwise residents of Utah and non-residents must display a current OHV registration sticker on their motorcycle, snowmobile, ATV, dune buggy, etc. Half of the states of America have a reciprocity agreement with Utah. Residents of the following states MUST purchase the Utah non-resident permit: Alabama, Alaska, Colorado, Connecticut, Florida, Georgia, Hawaii, Illinois, Iowa, Kentucky, Maine, Maryland, Massachusetts, Michigan, Mississippi, Nebraska, Nevada, New Hampshire, New Jersey, North Carolina, Rhode Island, South Carolina, South Dakota, Tennessee, Texas, Virginia, West Virginia, Wisconsin and Wyoming. If you are coming to Moab from the south via Hwy 191, permits can be purchased at the Edge of the Cedars State Park in Blanding, Utah. If you travel through Cortez Colorado, Mesa Verde Motorsports sells the Utah permit and in Dolores Colorado, Utah permits are sold at the Colorado State Parks Lone Mesa Office and Grand Mesa Motorsports. Travel occurring through Wyoming affords locations in Mountain View, Rock Springs and Green River WY for purchasing the permit for Utah. For visitors arriving from the east by way of Grand Junction on Interstate 70, get the Utah OHV permit from All Sports Honda, All Terrain Motorsports, Grand Junction KTM, Grand Valley Powersports, or Motorcycle Accessories Unlimited in Grand Junction, Colorado. Even Las Vegas Nevada has a location at Gyver’s “Handy Man and Light Automotive Services”. Moab’s locations are the Moab Information Center in the heart of town, either Maverik fuel station (open 24 hours), Mad Bro Motorsports, the Moab Tourism business by City Market, or up at Dead Horse Point State Park Visitor Center. When you apply for the permit have proof of residency and proof of ownership. When planning well in advance to provide time for United State Postal delivery, the permit can be obtained via an online form using http://stateparks.utah.gov/ohv. Interestingly, youth ages 8- 15 may operate an OHV vehicle on public lands if they possess an Education Certificate issued by the Utah State Parks and Recreation or the equivalent from their home state. Older drivers must have a valid driver’s license. The “Know Before You Go’ education course covers drivers of snowmobiles, ATVs and motorcycles operating in the state of Utah. Helmets are to be worn by operators and passengers under the age of 18 years old. The education certification is completed online. The OHV registration fees go back into the sport. The fee is divided to provide $13.50 for summer and winter riding; $2 for education programs; $2 goes to the department of motor vehicles; the school trust lands receives $1.50; the transaction fee is $1; with 50 cents set aside for search and rescue. You may still be billed by the responding county Search & Rescue team for rendered services. 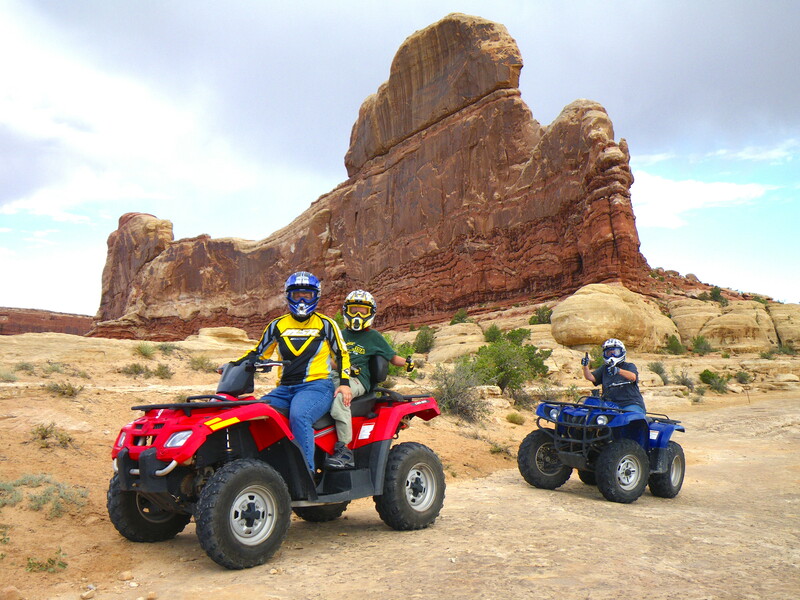 There will be three ATV-UTV based events held in Moab in 2015. 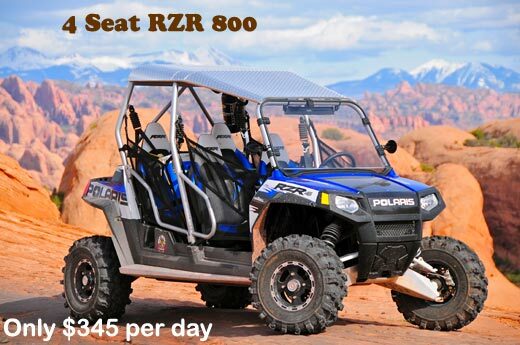 Utah Peace Officers Association has a ride to remember fallen officers on April 18 2015, Rally on the Rocks is based out of the Old Spanish Trail Arena of Moab May 13-16 2015, and the Red Rockin’ Moab SXS is held at the arena September 24-26 2015. More information on trails in Moab, meaning of street legal, and a complete Utah OHV Brochure can be found on http://www.discovermoab.com/atv.htm.